Those of you who read our top gear for 2015 review list in December 2015 would probably have noticed me waxing lyrical about headphone that no official review from us had come out at the time yet still received a Writer’s Choice Award for 2015. 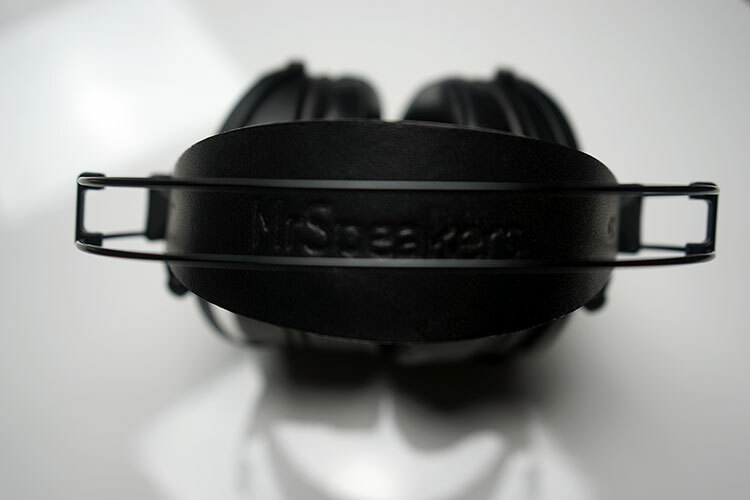 That headphone was MrSpeakers Ether C, the close back variant of the Ether “O” released earlier in the year. Yes, I also mentioned we would have a review out for it much earlier than now so pardon the tardiness on that but good things come to those who wait and luckily that delay allowed us to absorb MrSpeakers upgraded version, the V1.1 which just came out recently. Those who purchased the Ether C beforehand need not panic as you can buy the upgrade kit for a mere $9.99 making this one of the most cost effective upgrades to a flagship headphone I have seen in a very long time. That’s the DIY spirit in Dan Clark, head of MrSpeakers and let us all be thankful for that easy on the wallet approach. Mind you, when I say easy on the wallet, the Ether C is priced at $1599 with the upgraded DUM cable making it by far MrSpeakers most ambitious and expensive range of headphones to date. You also have to factor in the fact that the Ether C is no re-worked T50RP Fostex driver from the previous Alpha series. Despite the amazing performance MrSpeakers got out of these aged drivers in the Alpha series you always got a feeling Dan and the team was tapping the ceiling already by the time the Prime at $999 was released. I remember speaking at some length with Dan on the Prime’s sound qualities when it just hit the market and in that discussion and in subsequent testing I started to understand where Dan wanted to go with his headphones. There was something about the Primes soundstage, the dynamics and the imaging that stood out strongly above all else – the immersion, the engagement – qualities that seem to resonate strongly in our discussion. Yet, I also felt that a full realization of this vision was not going to come with those old Fostex units. Something better had to be made to get to that goal. So in comes first the open Ether and now, the closed Ether planar headphone with an all new V-Planar driver first glimpsed in the Alpha Prime. Yup, that’s right, it’s an all new planar driver and an all new headphone chassis. With the Ether range suddenly MrSpeakers evolved from cunning DIY headphone ‘tweakers’ to fully fledged headphone manufacturers in their own right. This is a flagship planar headphone by right and let me tell you it simply does not look or sound like a first time effort. There is a basic explanation on the MrSpeakers website regarding their planar technology inside the Ether range that they have called V-Planar. Basically, Dan’s team have honed in on a existing planar manufacturing technique known as knurling and worked with the inventor of this technique, Bruce Thigpen, to come up with a variation which is now called V-Planar (knurling technique). The whole focus of this technique is to vastly reduce the possibility of non-linear planar motion which can result in artefacts in audio reproduction from planar cans. They do this by producing a concertina effect which folds the diaphragm before general use in order to strengthen the physical structure of the diaphragm during rapid tensioning effects when sound is reproduced via a source or amp. It should also vastly increase compliance and avoidance of non-linear motion artefacts from creeping in. MrSpeakers believe the resulting sound should be more natural with even better dynamics and lower distortion than competing planar headphones. One of the goals of the Ether range was to produce what they termed as a timeless design that is uber comfortable. Past efforts including the Dogs and Prime where just that with huge comfy and well isolated padding. I remember the Alpha Dogs was indeed used by a competing planar manufacturer in their R&D for pads it was that comfortable. The one thing I did note about the Dogs and to some extent the Prime was the weight, though by no means the heaviest it is there. That is the curse of planar technology in many respects. 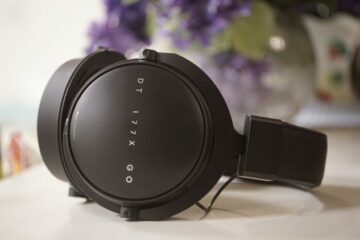 Magnets are blocks of metal, no getting around that and there are plenty of excellent planar headphones out there that weight a ton. The Ether C is a full sized planar headphone and weighs just 394g. Let me put that into context for you. The Sennheiser HD800 weighs just 330g and no one complains of the weight of this headphone. The lightest planar right now on the market is the Audeze SINE at 230g but this is largely an on-ear planar and portable in nature. Next comes the PM-3 at 320g, which is a big jump from the SINE but still an on ear portable planar headphone and small in size. That is just 70g short of the full size circumaural Ether C. Other full size planar headphones such as the LCD-3 weigh in at a much heavier 540g and the XC is a huge 650g which, when you switch, is very noticeable indeed. It is one of the common complaints out there and the Ether C build and design side steps that complaint very neatly indeed. The Ether C’s build and materials used largely explains this ability to get down to dynamic headphone levels of comfort and weight. The cups are made from carbon fibre; the headband is made from very minimal but strong NiTinol “memory metal”. The rest is made up of aluminum baffle, pivots and gimbals. The NiTinol is really thin actually, almost reminds me of the old AKG K series framing but much stronger and very light indeed. MrSpeakers has taken that comfy headband strap they used in the Alpha series and placed it under this NiTinol frame for comfort and balance and added adjusters on either side for fitting purposes. These adjusters operate within about 2 inches of space so it should cope with most head sizes. 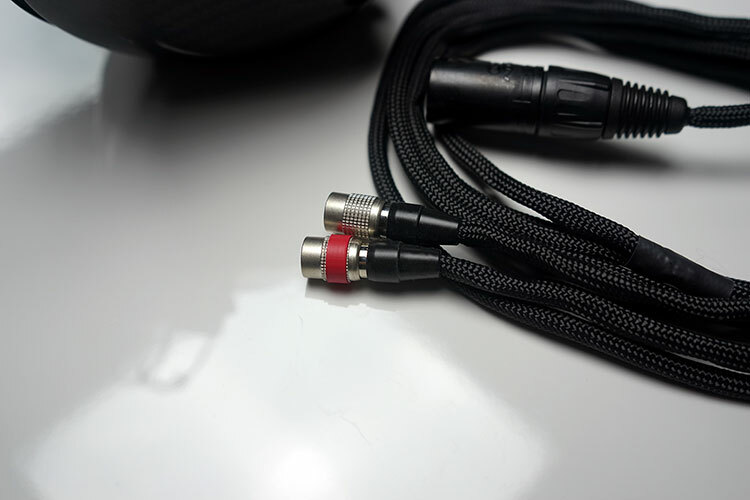 MrSpeakers has saw fit to continue with the Alpha series Hirose connectors at the base of the cups for the Ether C which somewhat limits my after cable options which are predominantly mini-XLR. However, this time the Ether C comes with an upgraded cable (for an extra $100) called the DUM cable which is terminated in unbalanced and balanced formats depending on your requirements. I had a chuckle when I was told what DUM actually meant – “Distinctly-un-magical” which I guess is a poke in the eye for cable believers somewhat or at least something subtly self-deprecating. That being said there are claims to audio improvements with the DUM cable from MrSpeakers over the older one but from the get go the first thing you will notice is that they are slightly lighter and much more pliant and easier to work with than before. 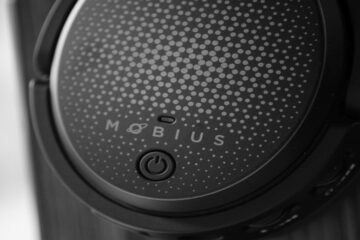 Of course you can’t talk about a MrSpeakers headphone without mention of the pads because just about every headphone I have tried from them have always come with sumptuous pads and the Ether C is no different in that respect. They are once again lamb-leather ear pads but this time they feel a little bit suppler than the Primes pads though a little bit shallower meaning your ear is that bit closer to the driver. The pads can be bought angular or flat depending on your preference. My ears fit pretty well inside the openings in the pad openings, others might find it a bit tighter though. The seal is also excellent for a full sized closed headphone and the fit is very secure indeed. The clamping pressure of the new NiTinol frame combined with the lamb skin pads is probably one of the best in the business for my money. There is no lateral movement once you get the right headband adjustment for your head and they never feel they will slide off or loose pressure. 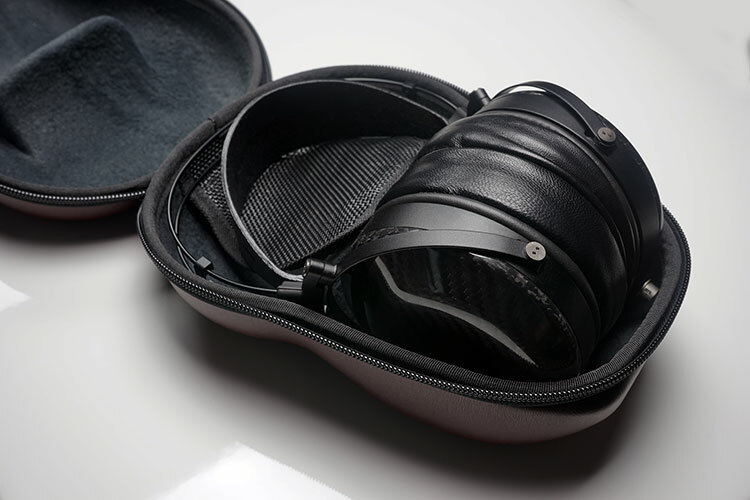 With the Ether range, Dan ditched the old velvet cloth pouch and went with a far superior contoured headphone case that reminds me of the V-Moda cases but only a little more executive level. It has enough room to carry one or two cables also and seems pretty durable. Certainly not on the level of the tank like LCD weather proof carry cases but a lot more discreet and does not take up a lot less room and weight. The only thing missing that I would love to see on this case is a little carry handle on the top but otherwise it’s a very useful addition. It is not a MrSpeakers headphone without a little packet of something inside the box to allow you to tweak the sound of your new headphone and the Ether C is no different. Thankfully due to office movement and the vacation I was still in mid-review of the Ether C when Dan sent the new V1.1 foams so I grabbed a chance to compare these with the existing foam kit sent with the older Ether version at Xmas. These little foam pads come in differing colors. The original kit came with a mix of slightly thinner white and black felt pads compared to the foamier and thicker black v1.1 pads. If you have the older stock Ether it comes fitted with the white pads out of the box. By throwing on one of these v1.1. black foams interesting things will happen, particularly in the tonal response and treble performance. By the way this is not a particularly difficult tweak to do physically. The video above is the guide you receive on the $9.99 v1.1 foam bag and you can do it literally in 1.13 minutes (length of video). Hi Pavol, sadly I never had much time with the W5000, only in meets about 7 years ago. This is pure aural memory but the W5000I believe is lacking in bass compared to the Ether C, especially the Flow version which is far more impactful. Hi Marcus. Thanks…, i though, that you can´t remember exactly, what´s different between them. Strong bass is no exactly for i looking, even i have a read a lot, that ATH no have strong bass /i have ATH-AD900, and sometime i like little bit more bass, but realy just little bit by quantity, but definitely more by quality, impact, clarity/. My focus is on the sound stage, separation and clarity, musicality and balance, neutrality, enjoy long listening. I dream about sound like from normal speakers, but from closed earphones. Any way, thanks a lot for your answer…. Yeah Ether will give you a bit more bass from memory but I need to revisit the W5000 because it has been many years since I heard it. That seems to be the consensus among my peers though. Ether C is much more robust. Ether non-flow is quite neutral though and right now I am using an Ether open non-flow which I really like.